Aylesbury Vale District Council released an independent draft report yesterday (Tuesday) into the failures of it’s own company Aylesbury Vale Broadband - which promised customers coverage which it failed to deliver before being sold on. And the findings could be the tip of the iceberg as Gigaclear, which purchased the network has commissioned its own audit of the flagship council project after problems with connecting some customers. The report highlights cases of ‘conflict of interests’, a lack of planning and market research and a lack of a consistent strategic direction. Conducted by independent firm BDO the report says there was not enough market research conducted prior to spending taxpayers’ money on the scheme. The project made a net loss of nearly £200,000, with only 234 Fibre-to-the-Premises (FTTP) connections made in rural parts of the Vale. The council cannot form a definitive conclusion on their ‘return on investment’, because of pending ‘phased payments’ that will be completed once a set of conditions outlined by Gigaclear are met. The report highlights how it is now essential for the council to make contingency plans in the event that any of the payments are not made in full by Gigaclear. The external consultancy advice which AVDC sought, suggested FTTP was ‘prohibitively expensive’, and instead suggested a combination of fixed wireless and sub-loop unbundling as the most appropriate model. BDO lamented the lack of scrutiny on the project. It also suggested that placing cabinet members on the board of commercial ventures was a foolish move, as there was a danger of a conflict of interest will be perceived. Not only this, but that the board in future should employ members with “sufficient sector expertise”. Since 2015 the following councillors and council employees have been on the board at some stage: Cllr Janet Blake, executive director Tracey Aldworth, council leader Neil Blake, Cllr Howard Mordue, lead officer Evelyn Kaluza, head of commercial property and regeneration Teresa Lane and digital delivery officer Simon Eggleton. Also criticised was the record keeping of AVB, which made it difficult to test whether conflicts of interests had arisen in the operation of the company. 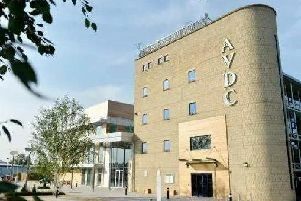 Next week the Bucks Herald will include an in-depth feature on Aylesbury Vale Broadband, and the council’s audit committee is set to meet to discuss matters further.